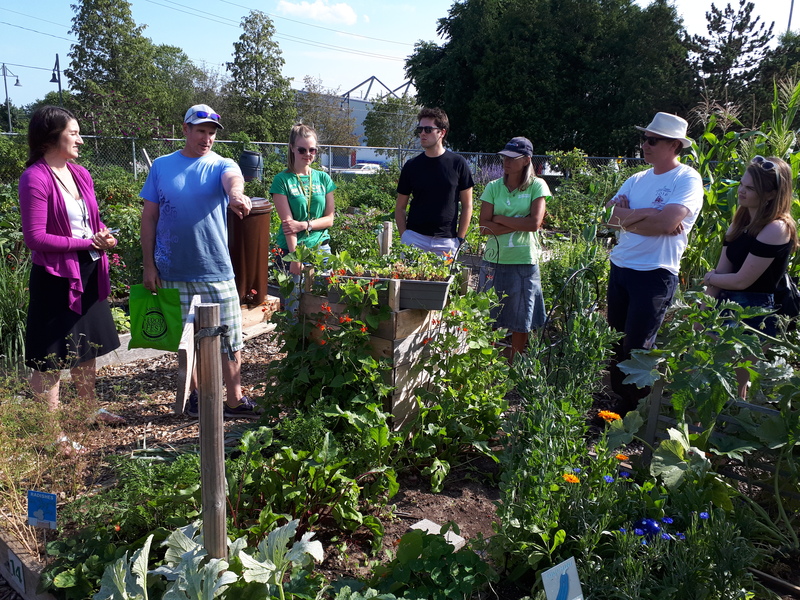 An educational tour at one of Burlington’s community gardens. Are you interested in growing your own local food? Do you live in an apartment, condominium or a townhouse and don’t have space to plant a garden? The City of Burlington has a solution that might work for you. 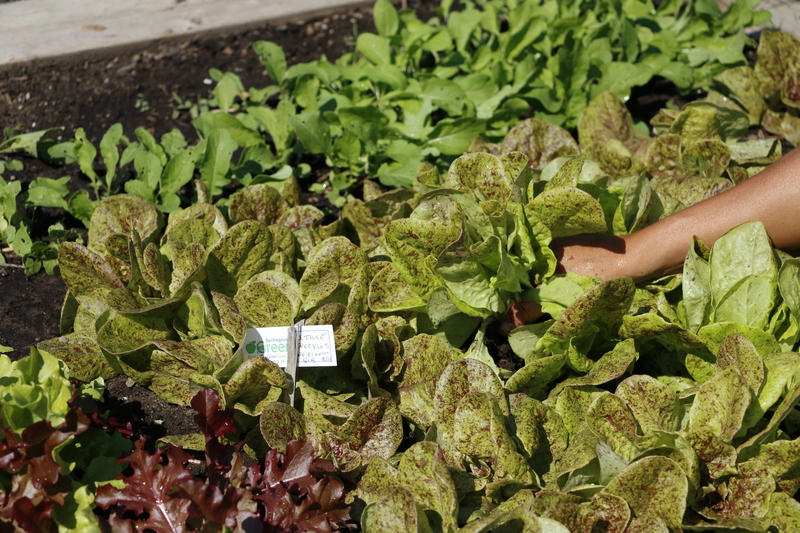 From experienced gardeners to beginners, anyone can apply to rent a ground-based or raised accessible plot in one of the city’s community gardens. Tending to the “Grow To Give” plot, where all produce grown will be donated to local food banks. Choose from one of the city’s five community garden locations: Amherst Park, Central Park, Francis Road Bikeway, Ireland Park or Maple Park. Complete an application and submit it by Nov. 30, 2017 for the 2018 planting season. Community garden applications are available online at www.burlington.ca/communitygardens, at the Burlington Seniors’ Centre, 2285 New St., or at City Hall, 426 Brant St., at the Service Burlington counter. Attend a meeting in late April at the garden site. To learn more, please visit www.burlington.ca/communitygardens. An accessible garden plot at Maple Park. How can my community group create a new community garden? Contact Michelle Bennett, the city’s community garden coordinator, at michelle.bennett@burlington.ca who can assist with planning throughout the winter months. Apply to the City of Burlington Neighbourhood Community Matching Fund until Feb. 26, 2018 for a chance to receive up to $5,000 in matching funds. 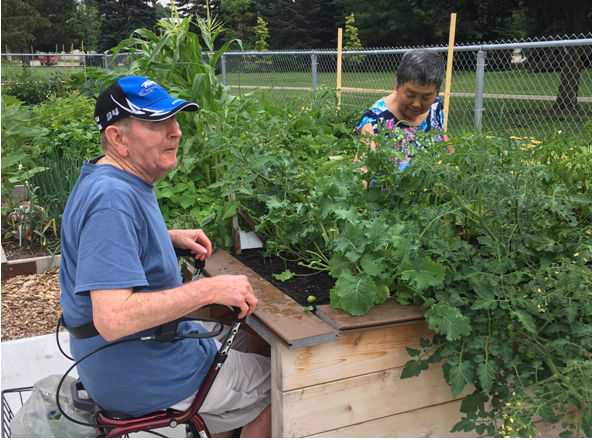 View The Community Garden Toolkit by Ontario Housing Services Cooperation for some great resources. 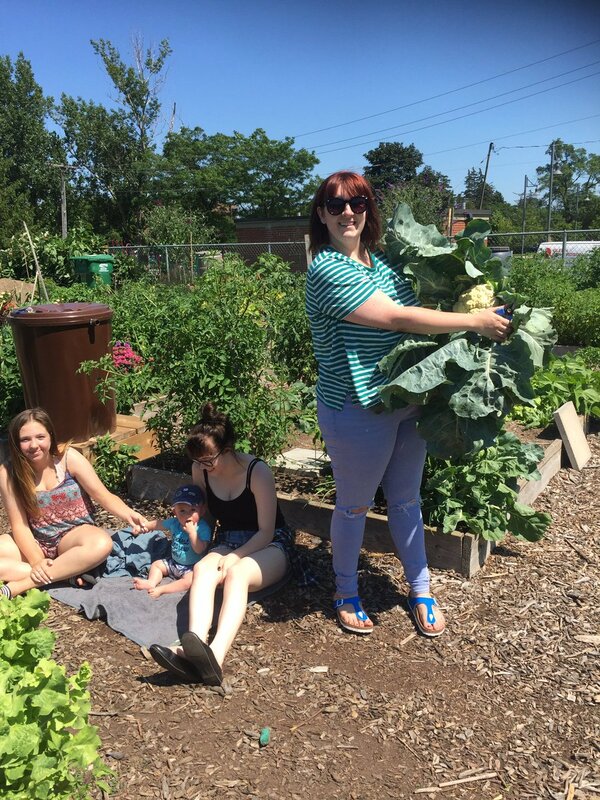 A family event at a Burlington community garden … harvesting cauliflower. Take Action Burlington! Consider growing your own food. Collectively we can make a difference.